A fast track farm-out process commenced in August 2018, whilst processing of newly acquired 3D seismic (March 2018) was still underway. Processing was finalised in October 2018, including inversion, marking the first time that potential farminees could assess comprehensively the mapped conventional resource potential on the Western Play Fairway at Project Icewine. Consequently, requests were made by potential farminees for more time to evaluate the opportunity, which the Company granted. The last 18 months have seen a significant increase in interest in the acreage to the west of Project Icewine and on the same latitude, marking a southerly trend in exploration focus. ConocoPhillips acquired 3D seismic in 2018, ~15 miles west of the Project Icewine Western Margin Leases. The Company is also aware of a multi-client 3D seismic acquisition planned immediately to the west of, and adjacent to, the Project Icewine acreage (see image). Additional near term transactional activity is expected associated with the on sale of an option acquired by Oil Search in 2017. This option is due to expire in June 2019 and includes acreage immediately to the south of the Western Blocks (where Winx-1 was recently drilled) and immediately west of Project Icewine (where the multi-client 3D seismic acquisition is planned). 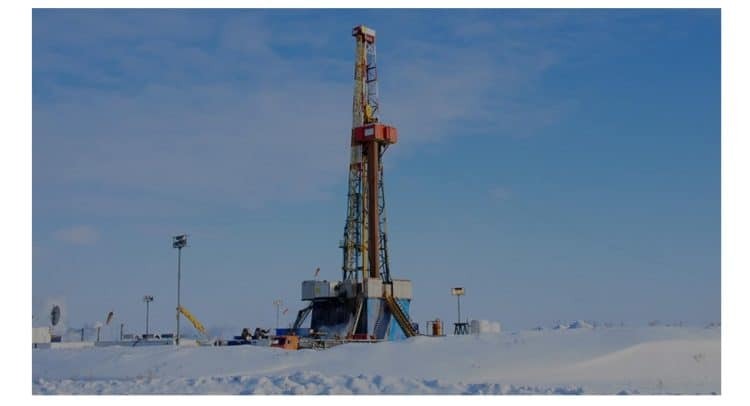 Baker Hughes and the United States Geological Society (USGS) continue to apply advanced evaluation techniques to the HRZ shale play, including additional tests on both core and cuttings obtained from the drilling of the Icewine-1 and Icewine-2 wells. Final processing of the Yukon 3D seismic is now complete, with interpretation and resource evaluation currently underway on the inversion product. As previously reported, a number of prospective horizons have been identified on the acreage, including the Cascade lead, which was intersected peripherally by Yukon Gold-1, drilled in 1994, and classified as an historic oil discovery. The Yukon Leases are located adjacent to ANWR and in close proximity to existing infrastructure. Data obtained from the drilling of the Winx-1 exploration well will now be integrated into the existing dataset to develop our understanding of the Nanushuk depositional model and further evaluate the remaining resource potential of the acreage. There are several working theories that will be assessed over the coming months, including whether there is potential for better developed sands updip and in closer proximity to the successful Horseshoe-1/1A and Stony Hill-1 wells.